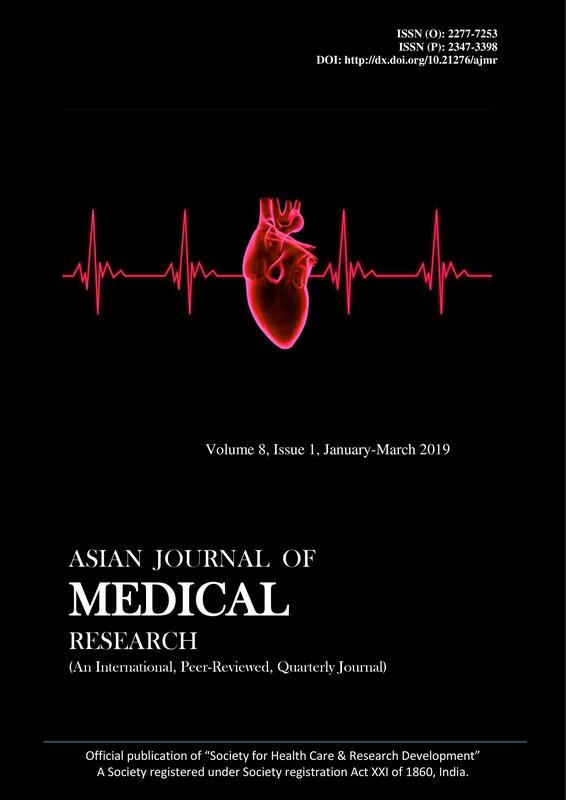 Asian Journal of Medical Research (AJMR) is an open-access, freely accessible, online and print quarterly peer-reviewed international journal publishes a wide spectrum of advanced research on all medical specialities including ethical and social issues. AJMR is a gateway to enlighten the latest research/issues happening all around the world of medical and health sciences. Asian Journal of Medical Research is an Official publication of “Society for Health Care & Research Development”. A Society registered under Society registration Act XXI of 1860, India.